Words have a powerful effect on students. As a teacher, it is crucial to be aware of word choice. Words can cause great harm. There is no pulling a culturally insensitive word back from the universe once it has been uttered. A student could be forever damaged if he or she feels unwanted or stupid in the eyes of a teacher. If a student’s culture is overlooked throughout his or her schooling, a student will start to believe their culture has no place in the world. This could lead to despair, worthlessness and even suicide. David Katzeek spoke about the power of words when meet with us on the first day of class. He said, “every child is special,” and “you are an intelligent human being,” and “[child] has the power within them”. He translated these from Tlingit and had first heard them from his grandparents. 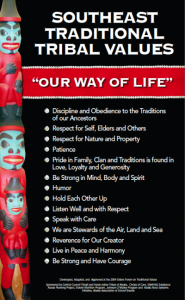 There were so many precious gems to remember and apply to the classroom that had been put to use for thousands of years by the Tlingit People. The power of words can “lift up” a student to accomplish things they never thought possible. As teachers, we must work hard to balance the perspectives the students receive, so a student’s culture is not overshadowed by the dominant culture’s world view. We must be honest with students about the hard realities that exist in our society. The more points-of-view we can see the world through, the deeper our understanding of the world can be. This is how we can empower all students to become great thinkers and doers of great deeds. Over the last three weeks, I have felt empowered. It has been the best feeling. If my students can feel the joy of learning that I am feeling, I will know we are on the right path. I choose whiteness, uncomfortable, and revolutionary from the word wall because together they tell a story of how we can begin to make changes in a flawed system. In order for there to be a revolutionary change in education, it is vital to understand that there exists a disparity between cultures. 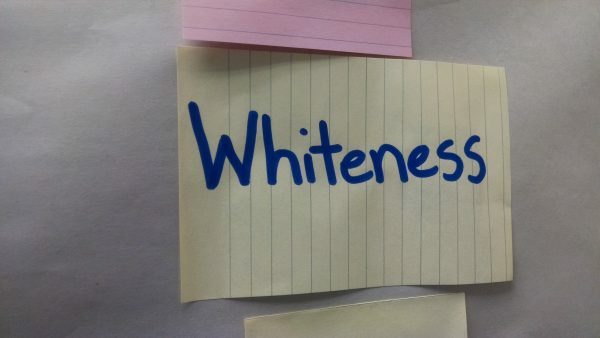 There is a whiteness that is most often not seen or recognized by white culture. The whiteness blinders must be removed in order to see the disadvantages that a multitude of cultur es face in our country. We must see that by design this system is made for an elitist white world aimed at controlling the masses through the fear of each other. It is my understanding that my student practicum at Dzantik’i Heeni Middle School will be focusing their curriculum on world literature this coming year. By going far and wide, I want to keep subjects grounded and relevant on a local level. We can do this by reading/hearing stories based in Alaska time and space while running parallel to the world literature. It could be very powerful to recognize that while Homer wrote the Iliad and Odyssey, the Tlingit people and other indigenous people of Alaska were passing down Raven stories as well their pantheon of knowledge orally. 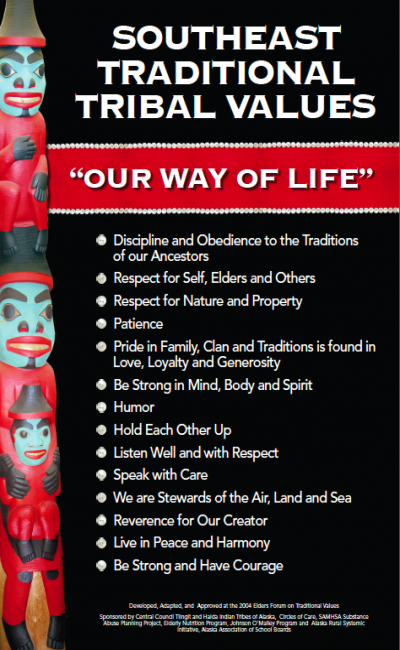 I plan to incorporate as much of the Tlingit language as possible into the classroom on a daily level. I realized that a Tlingit place name map could be a central resource to study the language. With the help of cultural bearers and Elders, we can learn how to make the sounds in order say the words properly. I want to challenge the way we make sounds and break the lazy habits that afflict most English speakers. Language holds the essence of a culture in my eyes. Even by making small attempts at speaking another language, a student can begin to understand another culture and have a broader world view. Being inclusive of other world-views will be the biggest challenge I will face as a teacher. I made a conscious choice as a young man to turn my back on my Nativeness, choosing instead to walk a path that led me far astray from my family’s roots. I did it to satisfy my ego, I suppose. I didn’t feel like being Native was a good fit. I used to dismiss being Tlingit as “just what I was born.” If I had to pinpoint a year, I would say 1986. That’s 30 years I need to unravel, since I have bought wholesale into the dominant culture’s worldview. If time travel were possible, I’d like to have a chat with the younger me and talk some sense into him. Words do matter. I chose dismissive and hurtful words that shaped my adult identity, no question. Hopefully, I’ve gained some wisdom in the intervening years. Very moving post, Tyler. I found your imagery in your first paragraph to be very vivid and powerful, especially the phrase, “There is no pulling a culturally insensitive word back from the universe once it has been uttered.” When I stop and really think about that statement, it packs a heavy punch. Words can be the most powerful thing in the world to a young person as they learn to define themselves and navigate the world. And this heaviness makes David Katzeek’s words of wisdom all the more meaningful for us as guides and educators, “You are an intelligent human being. You have the power within you.” We have the power to empower. 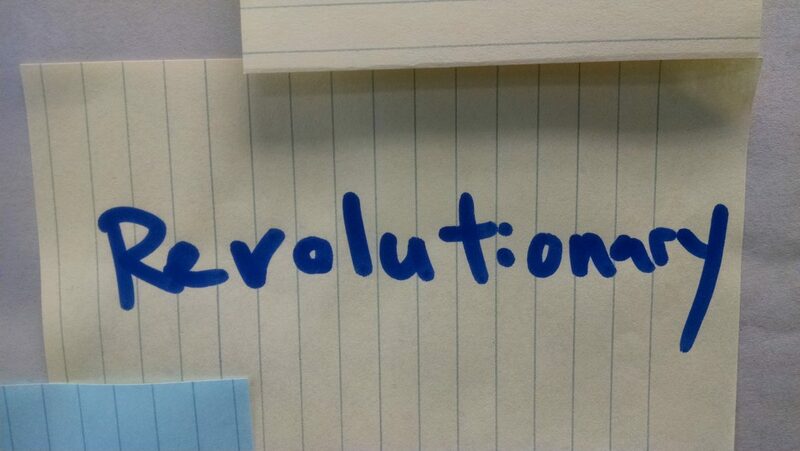 I like that you weaved a narrative with your three words from the word wall. Together, they form a statement of powerful intent. 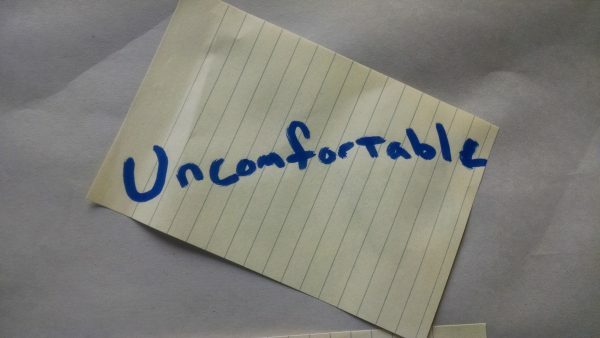 The imagery of tearing down the “whiteness blinders” and “embracing the uncomfortable topics” is provocative and really pushes at that revolutionary spirit you are getting at. 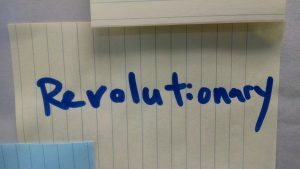 I think we really do need to be revolutionaries as educators. It feels like there is something inherently radical about taking up the banner of educator . . . if we listen closely to what that role truly means in the larger scope of things. Thank you for sharing your experiences and your thoughts on the importance of words. I like it when you mention, that words cannot be withdrawn once they leave the mouth. Many people wish they could take back things they say. This is a struggle for me because I say what is on the top of my mind at any time. I have been judged on multiple occasions for saying the wrong thing at the wrong times. However, all speakers must take authority of their words. If words offend someone, then there should be a discussion about how to reconcile the hurt feelings. On the other hand, it is important to think before speaking, something I have been working on. As a teacher, words need to be chosen carefully.